The body of Rianne L. Andrews was found off Lord Road in Benton on Monday morning. 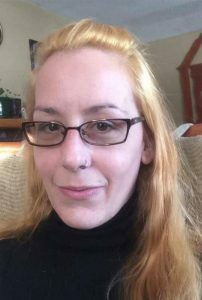 A 35-year-old Winslow woman who was reported missing on Saturday is believed to have committed suicide. A Maine Warden and K9 team located Rianne L. Andrews’ body off of Lord Road in Benton at approximately 10:09 a.m. Monday morning. If you or someone you know is at risk for suicide or in crisis, please call the statewide crisis hotline at 1-888-568-1112. For more information on suicide prevention support and education offered through The Maine Suicide Prevention Program, visit NAMI Maine’s website (www.namimaine.org) or call at 1-800-464-5767. Maine State Police, which has jurisdiction over Benton, and the Winslow Police Department are investigating the apparent suicide, according to a press release from the department. Andrews was last seen at her home on Quimby Lane around 4:25 p.m. on Friday. Over the weekend, Winslow Police Department asked for the public’s assistance in locating her. Winslow officers, along with members of the Maine Warden Service and several search and rescue teams, were deployed to her home at approximately 7:30 a.m. Monday, before she was ultimately found dead in Benton.